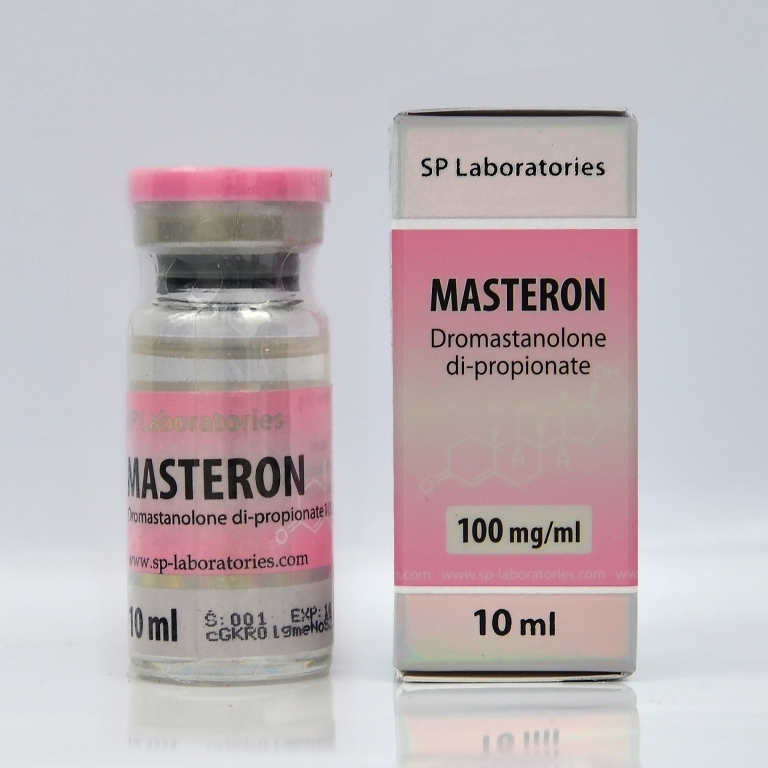 Composition: 1 vial contains 10 ml solution for injections; each ml contains dromastanolone di-propionate 100 mg.
Masteron is recommended for muscle outlining and defining, the most commonly is used a few weeks before the competition. Adding decadurabolin or Equipoise leads to considerable gains of muscle mass without a high water retention and combined with Dianabol or injectable testosterone, causes fabulous gains in muscle mass. For definition SP Masteron can be combined with Stanozolol, Primobolan or Oxandrolone; This combination leads to the maintaining of muscle mass and fat losses. Recommended dose of SP Masteron is 100 mg - 200 mg every 2-3 days. Weekly dose is around 300-500 mg. The most effective dose is 400 mg per week. The only side effects that may occur are oily skin, acne, increased facial and body hair growth, aggression, prostate enlargement and hair loss (if there is a genetic predisposition). Those who have a family history of baldness should stay away from Masteron.